Christmas trees, light displays, big Santas and Reindeers are all impressive enough, but nothing transports someone back to childhood excitement and wonder quite like a miniature train chugging its way around an intricate track. The charm and fascination of the humble train going about its travels never seems to dull with age, no matter how many times the carriages have travelled around the track. It's just mesmerising. This year, you could mesmerise and amuse with a battery operated Christmas locomotive and carriages complete with lights and sound. 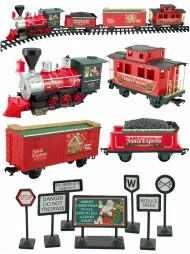 Featuring Christmas themes and winter motifs, these trains are a step into fairytale land for all! Set up your own private train track around the Christmas tree and make tunnels with presents or if the floor isn't ideal, set it up in pride of place on a table. Tempt your co-workers back to their childhood with this ultimate Christmas decoration chugging cheer into your workplace. Share the joy with your customers and clients by putting a train set in your window display - there's nothing quite like it to draw attention from passers by. Spend quality time with your kids and let imaginations run wild - the stories, characters, destinations and pleasure possibilities are endless. Do not be in too much of a hurry to dash past this treat that manages to have a little something for everyone. No one is too old for this young-at-heart delight! Our train sets are battery operated, simple to assemble, and reasonably priced. 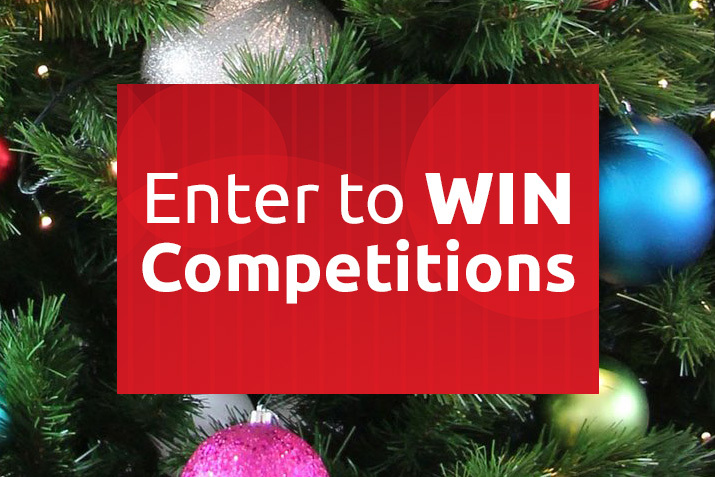 What's your destination this Christmas? All aboard! This is one train you don't want to miss!